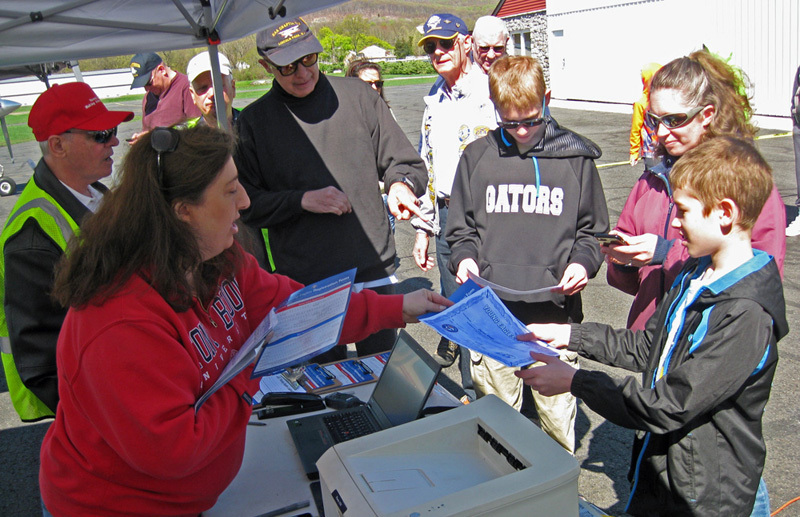 Perfect flying weather on April 23 helped to bring out our aviators and match them with families interested in free airplane rides for their children. 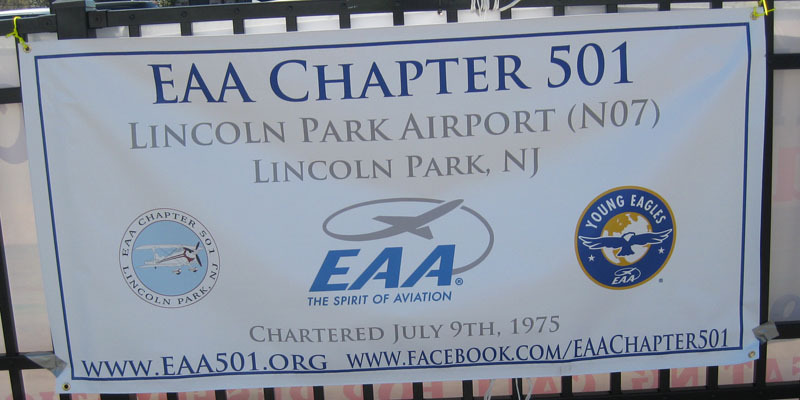 (A large number of Jon Seibert's excellent quality photos of the April 23 event can be found on Chapter 501's Facebook page. 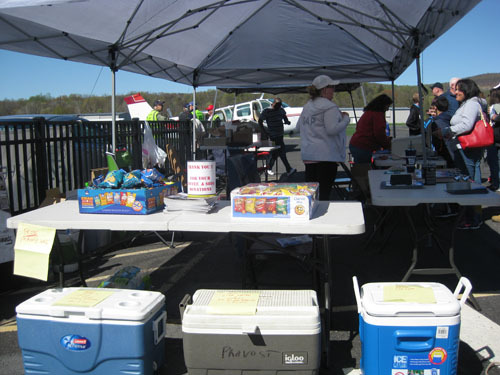 Six pilots flew 43 kids in the three hour event. They were Mike Dzurny – Luscombe 8E, Paolo Grassi – AutoGyro Calidus, Larry Kalb - Cessna 177RG, Ron Reinartz – Beechcraft BE36, Bonanza, Jeff Ross – Piper PA-23-250 Aztec, and Steve Vail – Cessna 120. 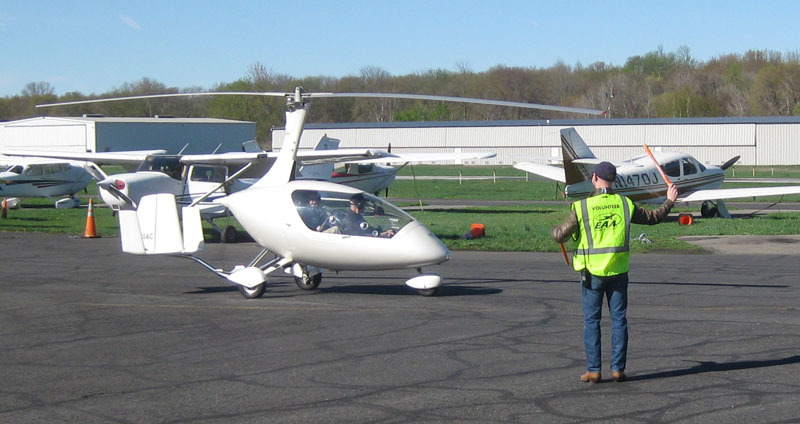 The flying route was a twenty-five mile round trip, north to circle Wanaque Reservoir, then back. Our Young Eagles Coordinator Allen F. Dunn oversaw the base of operations just outside the front door of Aero Safety Training (THANK YOU Linda Scully!) 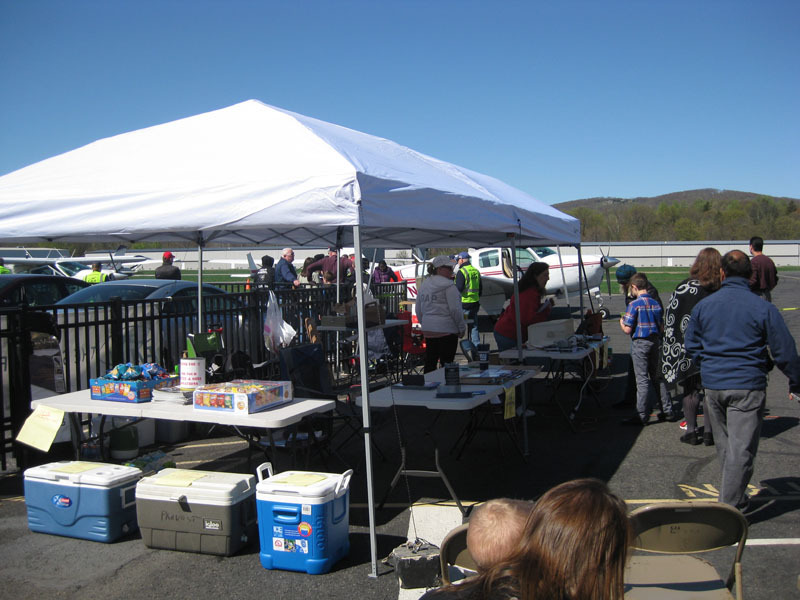 where Dawn Ross, aided by Kristen Seibert and Diane Sandow did the registration and Y.E. certificate production. Bryant Dunn was in charge of aircraft ground handling and parking. The ramp crew in the yellow safety vests who escorted the parents and kids to and from the aircraft included Lee McQuade, Bob Menier, Don Provost, Craig Reding and Jon Seibert. 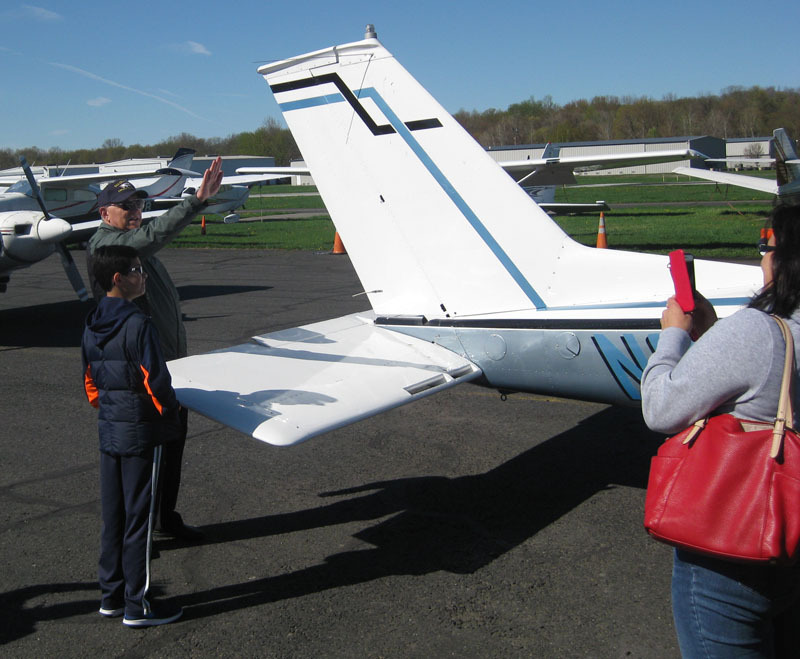 Among the 43 kids who got the free airplane rides were youngsters from the Green Residential Community Home in Ringwood (operated by the New Jersey Juvenile Justice Commission). We are now in our 13th year of providing plane rides to these kids who are not only being rewarded for their good behavior but also getting their interest aroused in what could be a productive career in the aviation sector. 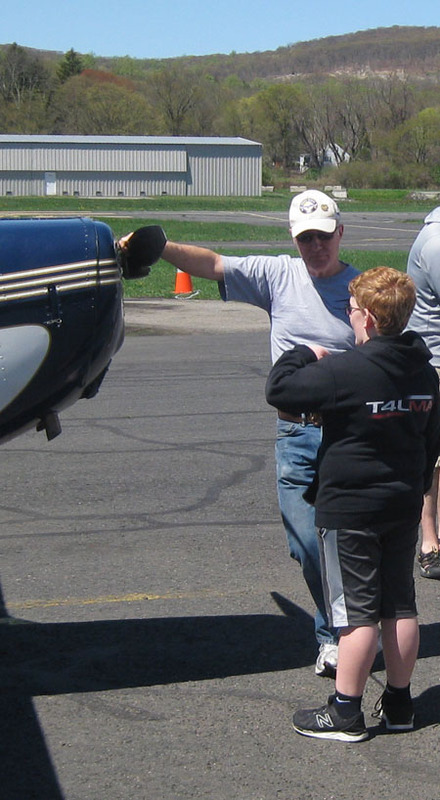 We also gave rides to another group on April 23 with similar hopes of stirring up interest in aviation careers. 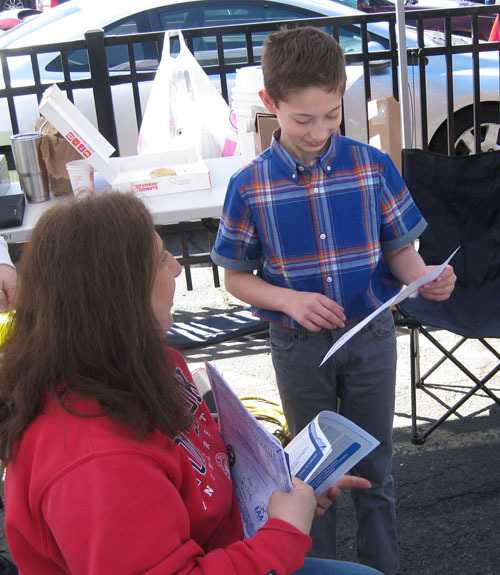 Our pilots flew several middle school kids, 5th through 8th grades, who attend Newark's Link Community Charter School. 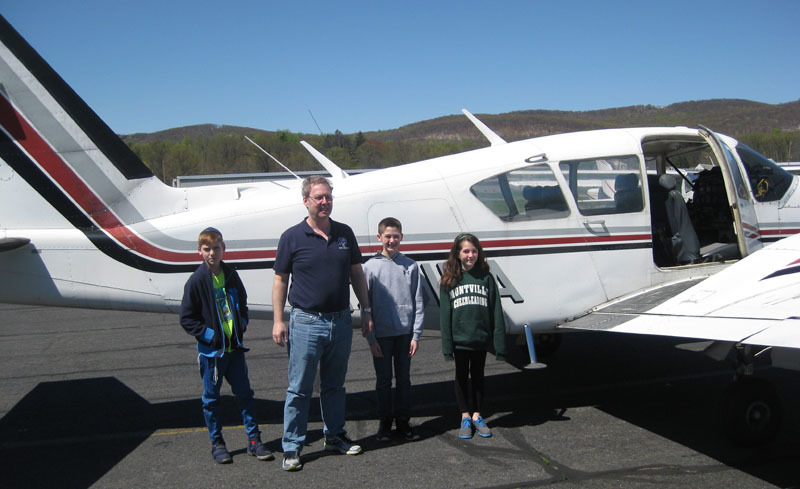 The group was led by Michael DiChiaro, a United Airlines pilot who has started up a volunteer "after school" aviation program aimed at introducing youngsters to an industry that has many future opportunities for them. This the second visit to a Young Eagle event by kids from the Link Charter School. The first was in April 2015. Photos taken by Don Provost.